How Much Should Nonprofit Hospital CEOs be Compensated? Nonprofit hospitals aren’t selling shares on the stock exchange, but the clarity that Justice Roberts gave the Affordable Care Act has to improve their outlook at much as their for-profit competitors’. In New Hampshire, the Attorney General asked the New Hampshire Center for Public Policy Studies for a report on CEO salaries in nonprofit hospitals and learned that the CEOs at New Hampshire’s 23 nonprofit hospitals received four-year pay increases averaging 18 percent between 2006 and 2008. That’s not bad, but CEOs for all nonprofit hospitals in New England during that time averaged 29 percent. Not many nonprofits can afford to pay bonuses, but apparently nonprofit hospitals do. New Hampshire’s nonprofit hospitals paid their CEOs bonuses averaging $112,523 in 2008, though dropping a little in the full recession year of 2009 to an average of $79,512. While CEO salaries are positively correlated to the size of the hospitals’ operating budgets, the researchers found absolutely no correlation of CEO salaries with the quality of care, hospital costs, or charity care provided per person in poverty. Overall, the rate of increase in nonprofit hospital CEO salaries was greater (in New Hampshire) than any other private sector position. Those are numbers for hospitals prior to the SCOTUS decision, even prior to the approval from Congress of the Affordable Care Act. It would be hard to imagine that nonprofit hospitals wouldn’t be anything less than effervescent about their economic prospects with the changes in insurance coverage and the infusion of billions of federal dollars into health care, even with the arcane and complex structure of national health care reform. 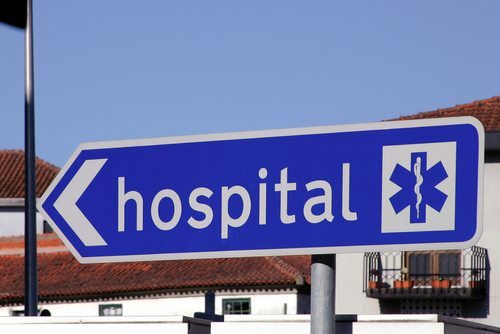 With expanded insurance coverage, nonprofit and for-profit hospitals can anticipate, one might expect, a sharp decrease in portion of their services delivered to people who can’t pay and a sharp increase in health care services for people with newly mandated (or individually purchased) insurance coverage. While the Attorney General’s office might be nonplussed by the rapid increase and significant size of nonprofit CEO salaries in the state, one might guess that these hospitals went through at least some of the required steps of compensation review to make sure that the salaries passed IRS muster. One might consider state policies that somehow get the nonprofit hospitals to connect their salaries to hospital performance, but after health care reform really kicks in, what ought to be the appropriate standard for measuring reasonable compensation? “We have a report that concludes that there’s no clear link between the use of those charitable assets and performance of the charitable mission, I think that’s something as a state we need to recognize and we need to try to improve on,” NH Attorney General Michael Delaney concluded.